Films about musicians have been a staple now for close to a century, shedding light on how artists craft music in various forms, the practice required to reach the highest levels, and what it takes to live life as a performer. These five diverse films—a mix of documentaries and narratives—continue that tradition, taking us inside the minds of musicians and performers. 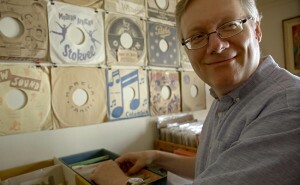 As a writer for The Late Show with David Letterman, Steve Young waded through thousands of record bins in search of quirky albums to showcase on the recurring segment “Dave’s Record Collection.” Steve’s quest for offbeat records eventually brought him to the largely unknown world of “industrial musicals”: full productions put on by major companies to dazzle their employees during annual sales meetings. As Steve’s initial interest quickly morphs into a full-blown obsession, director Dava Whisenant follows him on his odyssey to speak to those who helped create these outrageous Broadway-style shows, while shedding hilarious light on the industry of corporate-sanctioned musicals. Winner of the 2018 SummerDocs Audience Award. Across Ireland every year, 30,000 students prepare for the piano exams that will determine whether they proceed in their studies towards the coveted Grade Eight—considered the pinnacle of musical education. Spanning generations, proficiency levels, and a multitude of perspectives, documentarian Ken Wardrop provides a panoramic look at students working to define their relationship with both the piano and the teachers guiding them forward. MAKING THE GRADE is simultaneously a charming study of teacher-student relationships, an enduring tribute to the importance of perseverance, and a nostalgic look at the different ways people finds fulfillment through the arts. As the political repression of the USSR enters its final decade, Mike Naumenko (Roman Bilyk), frontman of the early 1980s Leningrad band Zoopark, welcomes a new singer that will soon break out far past the reach of their comparatively underground rock scene. 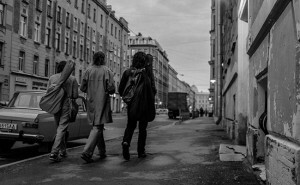 Looking back at the music landscape of his youth, director Kirill Serebrennikov has crafted a sprawling portrait of a vibrant scene alive with the riotous, uncontrollable energy of the era. Filled with an electrifying soundtrack, LETO provides a nostalgic, yet un-romanticized look at a period that seemed to exist almost entirely outside of both what had come before and was yet to come in its native country. In the midst of tremendous political upheaval, two folk musicians meet in post-war Poland, where one attempts to escape a troubled past while the other increasingly questions the pair’s role in the country’s propaganda machine. Soon they fall in love and find fame in the smoke-lit bars of Eastern Europe, setting in motion a relationship that will span decades and cross borders. Sumptuously shot in beautiful black and white, Polish filmmaker Pawel Pawlikowski (in the follow-up to his Foreign Language Academy Award® winner IDA) returns to his home country with an achingly seductive tale of love and loss. Selected as Poland’s official entry for the Best Foreign Language Film Oscar®.